Myanmar-Bangladesh trade totalled US$14.352 million in the first two months of fiscal year 2018-2019, registering a decline of $28.5 million, or 66.5 per cent, as against the corresponding period last year, according to the Ministry of Commerce’s monthly report. Around 129 million tourists visited ASEAN in 2018 – a 7.6% growth from the year before, according to a statement by Asean Tourism Federation. The Thilawa Special Economic Zone Management Committee said it plans to invite foreign developers to set up a smart city in the Thilawa SEZ. A test oil well will be drilled in Myaing township, Magwe Region to determine the presence of oil or gas, U Nyan Tun, deputy managing director from Myanmar Oil and Gas Enterprise (MOGE) , said during the Ministry of Energy and Electricity’s (MOEE) month press conference yesterday. Moral diplomacy, with a moral consciousness, can be a potentially effective approach to the conflict, experts said. United Nations, Jan 19 : UN Secretary-General Antonio Guterres has expressed frustration over the lack of progress in Myanmar’s refugee crisis. The average inflation rate in December 2018 was 6.86 per cent, a slight increase compared with 6.66 per cent in November, according to the Consumer Price Index (CPI) and Inflation Rate by the Central Statistical Organisation (CSO). The Big Bad Wolf Sale, an international book fair, has debuted in Myanmar’s Yangon with over one million English books from international distributors put on display, the official Global New Light of Myanmar reported Friday. The government has instructed the army (Tatmadaw) to carry out effective counter-insurgency operation against the AA insurgent group which threatens the life and property of people and undermines peace and tranquility, said Zaw Htay, Director-General of the Ministry of State Counsellor’s Office, at an informal talk with the press corps at the Presidential Residence in Nay Py I Taw, on January 19. Myanmar has opened its first ever emergency medical services (EMS) training center in Nay Pyi Taw in order to produce emergency responders for accident victims, Myanmar News Agency reported Friday. Myanmar’s military announced on Friday that the Arakan Army, a Buddhist rebel group in Rakhine state, has been classified a terrorist organisation after mounting a flurry of recent attacks. 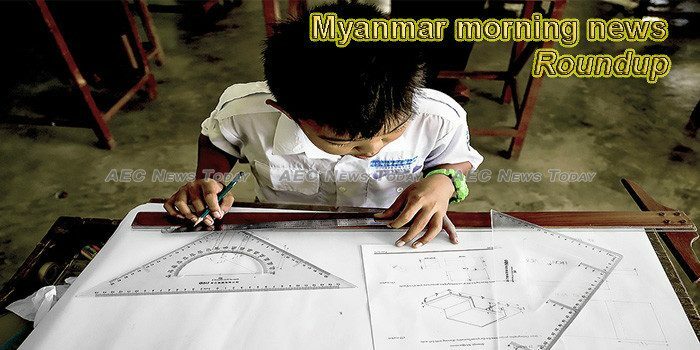 A Children’s Literature Festival was inaugurated in Myitkyina, Myanmar’s Kachin state on Sunday, aimed at nurturing children and instilling in them the love of reading, the official Global New Light of Myanmar reported on Sunday.